Resilient rubber compound, steel belts and the air inside – for most of us that’s what tyres are all about. While it might have been the case decades ago, today’s tyre manufacturers are pushing the boundaries of the design, building entirely new concepts. Let’s look at what has changed and how modern tyres have evolved through time. Most road vehicles use pneumatic tyres. It means that the air is held under pressure within the tyre. Until recently, tyres had the infamous inner tubes that actually held the pressurized air. The tubeless design was a huge success and now all tyres are made so that the tyre itself creates the airtight seal with the rim. When Scottish inventor Robert Thomas developed the pneumatic tyre with inner tube in 1845, it seemed that no one is interested in his invention. Only when another compatriot of his, John Boyd Dunlop reinvented the design in 1880s, tyres became hugely popular with cyclists. For decades, natural rubber has been used as the main ingredient in tyre manufacturing process, although synthetic rubber is also used. Along with all good characteristics, natural rubber was everything but wear-resistant. 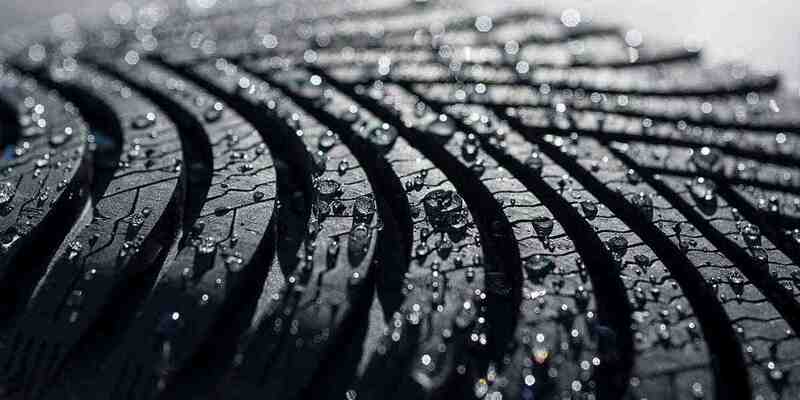 There were several attempts to harden the rubber so that road-worthy tyres can be produced. In 1839, American inventor Charles Goodyear accidentally discovered the process of strengthening rubber, which he called vulcanization. During an experiment he dropped the mixture of india rubber and sulphur on a hot stove. Instead of melting the mixture formed a hard and resilient patch. In its initial stage, natural rubber is a milky substance found in the bark of the rubber tree, Hevea Brasiliensis. Raw rubber is produced by adding acids to the liquid latex to solidify it. Pressed sheets of rubber are dried in smokehouses and shipped to tyre factories. Synthetic rubber, is produced from polymers derived from crude oil. Another important ingredient in the tyre rubber blend is carbon black – a very fine and soft powder obtained by incomplete combustion of crude oil or natural gas. Specific chemicals are added to the mixture to achieve specific characteristics like high friction, high mileage, UV protection, etc. A modern try manufacturing process starts by wrapping multiple layers of special tyre rubber plies around a metal drum. This is called the tyre-building machine. The beads are added and secured with additional tyre plies and glued into place. When the process is finished, the tyre is taken to a mould for curing. The curing mould heats the tyre up to 280 degrees, over a period that depends on desired characteristics. 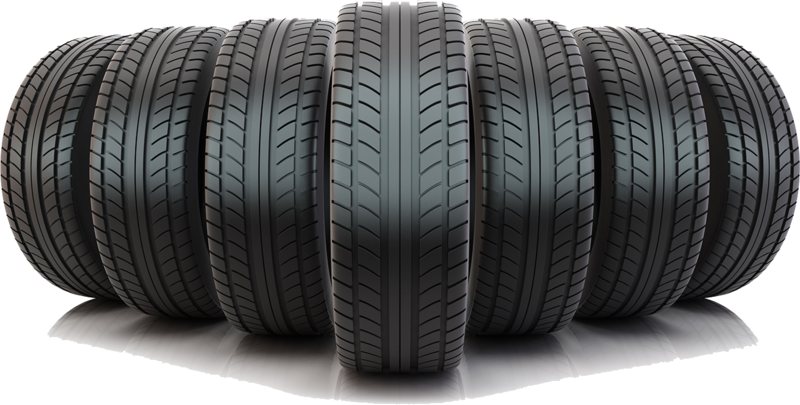 There is a set of destructive and non-destructive quality control and evaluation techniques that tyre manufacturers use. In addition to in-house testing, factories often use feedback from dealers who sell wheel and tyre packages, as well as consumers to identify possible improvements. Present-day tyres are great when new, but as they age they lose their grip rapidly and ability to eject water build-up. Michelin’s EverGrip design uses main tread groves that get wider as the tyre wears out, leaving more than enough space for water to escape. Different manufacturers are experimenting with self-inflating tyres in combination with pressure sensors, a technology already in use for heavy machinery and military vehicles. Michelin has also been experimenting with airless tyres that would avoid the two main problem of pneumatic tyres – punctures and leaks. The tyres of the future are more durable, safer and offer higher performance than their retiring counterparts that have been around in more-less unchanged form for more than century. The tyre industry of tomorrow is already experimenting with designs and engineering principles that may become the standard very soon.